Decreasing the time from the first symptoms to a diagnosis in skin cancer. We were inspired by the med-bays in the movie Elysium, where patients were diagnosed and treated in an instant. 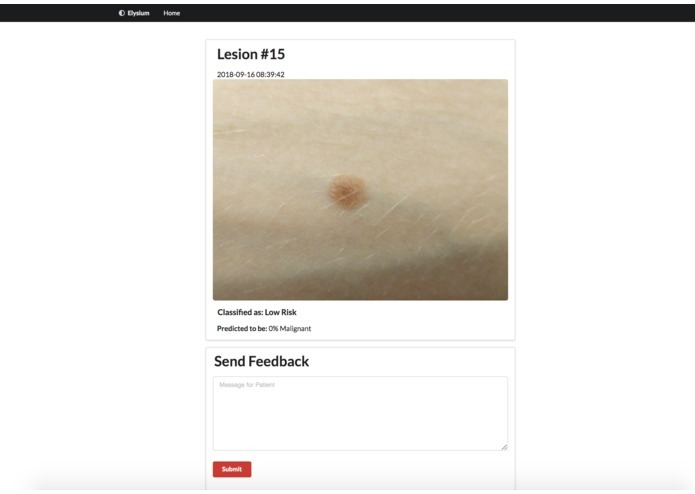 Elysium allows users to quickly and quite accurately analyze the potential risk of lesions present on the skin, and communicate these findings directly to their healthcare professionals for input and easy appointment making. 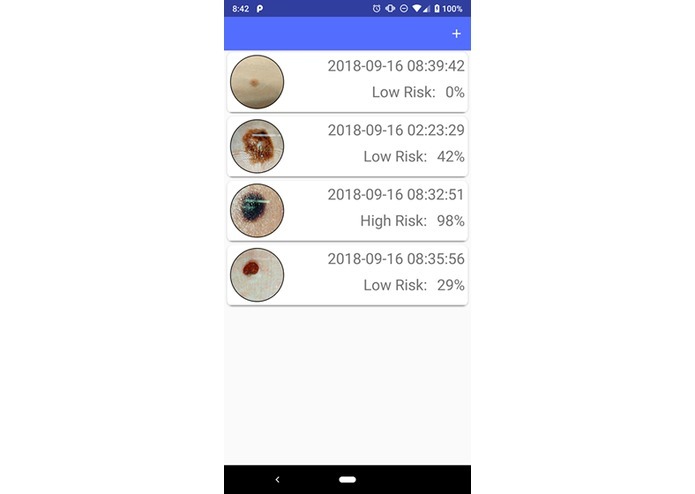 The mobile client is built using Android, the web client was built using Node.JS, and our custom machine learning model was a custom Microsoft Azure Custom Vision API. We had difficulties figuring out how to interact with the API on the Android app, and also using Firebase Firestore, which we were completely new to. Creating a functional platform which reached an accuracy of 78-80% on both Android and the web in 36 hours. How to use Azure's custom suite of APIs, how to use Firebase. Integrating our own model to introduce more granularity in the data. 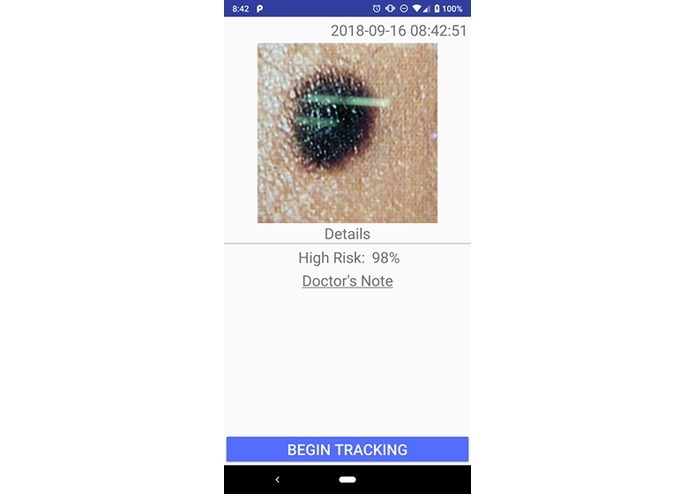 I created the Android app which took photos and analyzed them via the Azure Vision ML API and interacted with the node.js web app through Firebase. I worked on the node.js web app and configured the Azure Vision ML API. Full-stack web developer interested in deep learning.